Director: Peter Yates. / Steve McQueen, Jacqueline Bisset, Robert Vaughn. 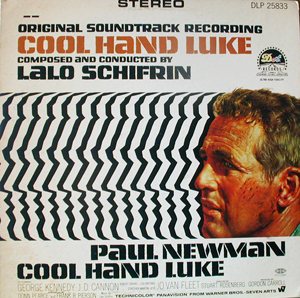 Composed & Conducted by Lalo Schifrin. *Composed by Sonny Burke. Director: Brian G. Hutton. / David McCallum, Stella Stevens, Telly Savalas. 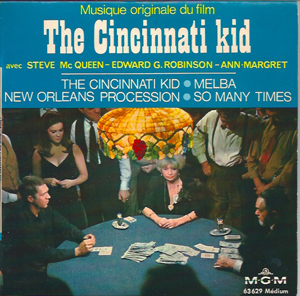 Composed & Arranged by Lalo Schifrin. 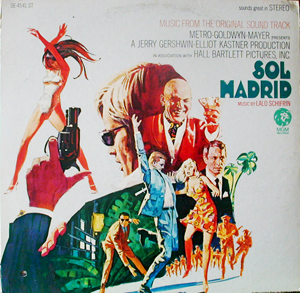 Conducted by Lalo Schifrin and Robert Armbruster. Director: Mark Rydell. / Sandy Dennis, Keir Dullea, Anne Heywood. 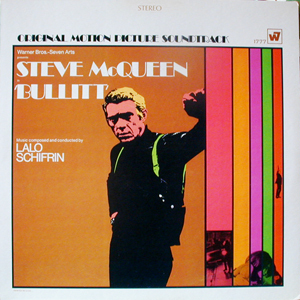 Composed & Conducted by Lalo Schifrin. Vocals: *Sally Stevens, **Anne Heywood. Director: Stuart Rosenberg. / Paul Newman, George Kennedy, J.D. Cannon. 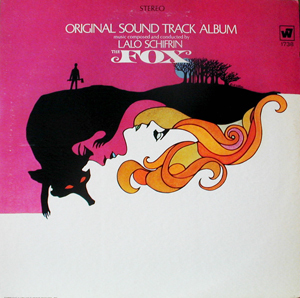 Music by Lalo Schifrin. *Written by Ed Rush & George Cromarty. Director: Norman Jewison. / Steve McQueen, Edward G. Robinson, Ann-Margret. 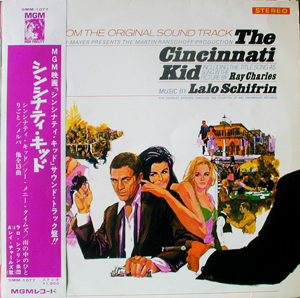 Music by Lalo Schifrin. Conducted by Robert Armbruster. *Vocal: Ray Charles. Orchestrators: Jack Hayes, Leo Shuken.